Rockley is one of those remarkable villages where, because it is away from the main road, time has stood still. There can be few towns in New South Wales which som simply, and with so few alterations, capture rural life around the turn of the century. It is hardly surprising that it has been listed by the National Trust as a Historic Village. The discovery of gold in the Campbell and Isabella Rivers and around Abercrombie Caves in the late 1840s drew settlers to the area. At its peak the town was home to around 3,000 people. The town’s prosperity is reflected in the solidity of its churches and public buildings. 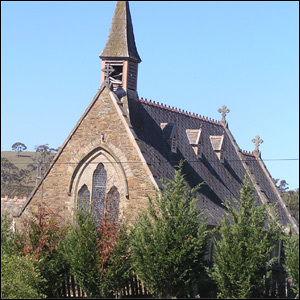 O’Connell was originally named O’Connell Plains by the colonial surveyor George Evans in 1813 but it was not until the late 1820s that the village was established as an important staging post on the main western road from Sydney to Bathurst. One of the first gold discoveries in the area was in the Fish River in 1823 but it was never officially recorded. The historic O’Connell Hotel that still operates today was built in 1865. A leafy canopy of Desert Ash trees that were planted between 1925 and 1927 to commemorate locals who fought and lost their lives in WW1, marks the entry to O’Connell. 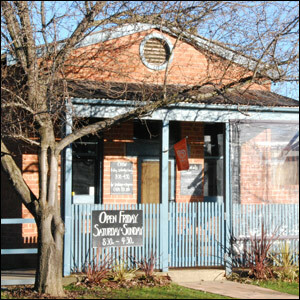 Many old buildings still exist along the Oberon – O’Connell Road and in 1974 the village was classified by the National Trust as the O’Connell Urban Conservation Area. 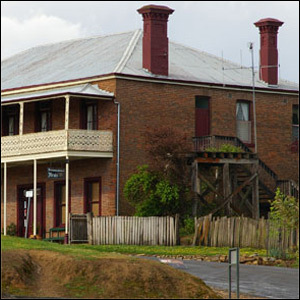 Sofala, located on the Turon River 45kms north of Bathurst, is Australia’s oldest surviving gold town. The village came into existence in mid 1851 when gold was discovered on the Turon River, not long after the initial discovery at Ophir. Sofala is one of the few villages from the gold rush era to have stayed much as it was. Many significant buildings have survived, including the Royal Hotel (1862), the police station and gaol (1890s), the Post Office (1879) and the former Sofala hospital, originally built in 1874 as a courthouse. Other historic buildings are now private residences. 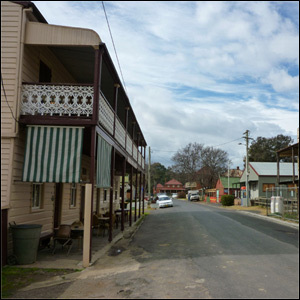 A key to the survival of many buildings in Sofala has been their sympathetic adaptive reuse as residences or tourist-related businesses. Gold may have been discovered in Hill End as early as 1852. Between 1871 and 1874 the town experienced a boom that turned the small rural and mining community into one of the largest inland towns in NSW, with its population rising to 8000. The total recorded amount of gold mined during this period exceeded 62,200kg. The most famous find of that period was the Holtermann nugget discovered by Beyers and Holtermann in 1872. In 1967 Hill End was proclaimed an Historic Site and placed under the management of theNSWNational Parksand Wildlife Service, protecting a selection of buildings and artefacts within and around the village. Now a place where visitors and locals alike can enjoy village lifestyle and wander through streets steeped in history.